Back in May we were in Holland, visiting relatives, and although for once the weather there wasn’t great, we did have a few good days. On one of them we went on a long walk with the dogs and as the area in the north-west (Frisian) part of the Netherlands is mainly rural, we were walking around farmland. Unfortunately it isn’t like in the UK where you can get up close to any animals in fields. Most of the fields are surrounded by wide drainage ditches, I really wanted to get nearer this mare with her foal, but unless I waded over mud it wasn’t possible. 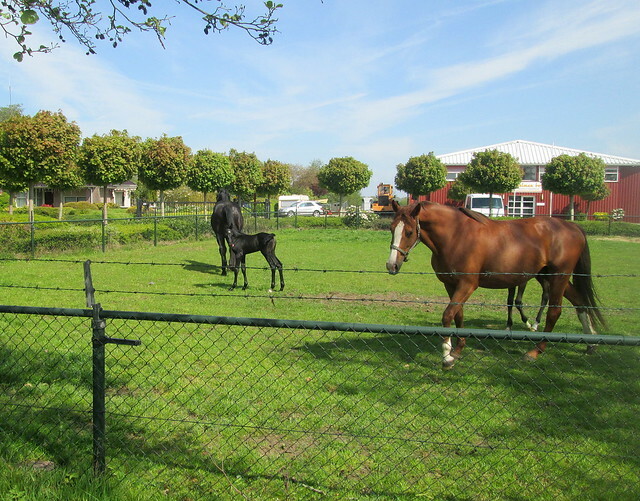 There are horses all over the place, a real paradise for horsey people, apart from the fact that you usually can’t get close enough to pat them. They were always interested to see us though. 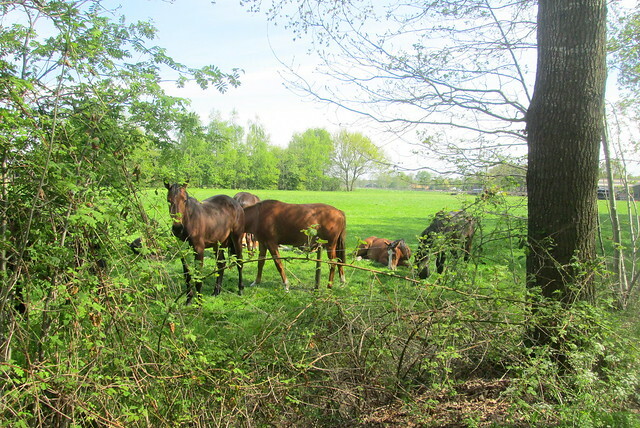 This entry was posted in animals, Personal and tagged Friesland, Holland, horses, The Netherlands by Katrina. Bookmark the permalink. 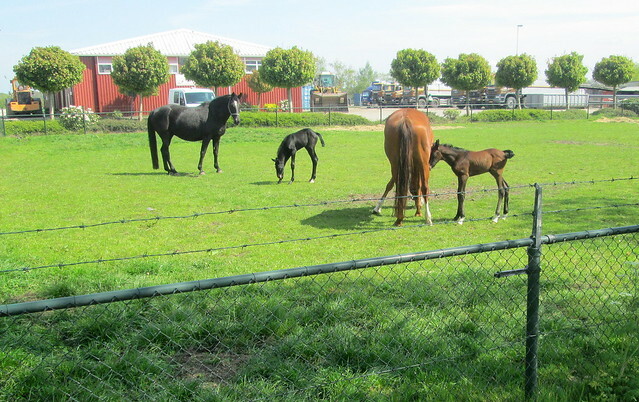 Lovely horses and foals! I’m surprised by the barbed wire at the top of the fences. That’s usually a no-no around horses. I still have a scar on my wrist from untangling my pony from a neighbor’s fence almost 40 years ago! That barbed wire really surprised me too, especially as the ditches would keep any people out anyway! Beautiful photos of these gorgeous animals–and once again, I have to comment on the incredible weather you had. How is your weather now, and how is your garden doing this summer?? This so-called summer we have been having one good day followed by about three horrible days – like it’s November! The garden is thriving though, I’ll post photos of it soon-ish.